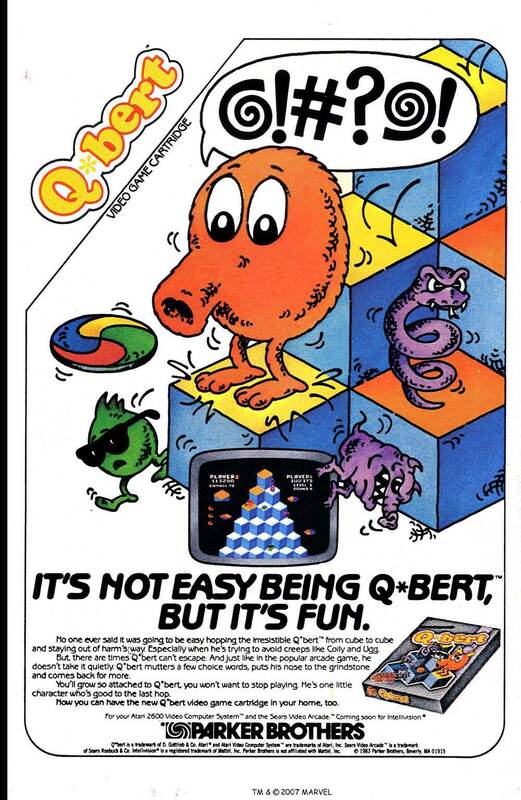 Immediately stop what you were thinking about Q*bert’s nose, you disgusting pervert. Q*bert is one of the all time classics of the early arcade era. Developed in 1982 by Gottlieb’s Warren Davis and Jeff Lee, Q*bert quickly became popular and was ported to every system under the sun, and even joined the lineup of the cartoon Saturday Supercade. Q*bert’s world record score was set by Doris Self, who was 58 when she set the benchmark. Although her record was broken, she spent many of her remaining years attempting to recapture it.